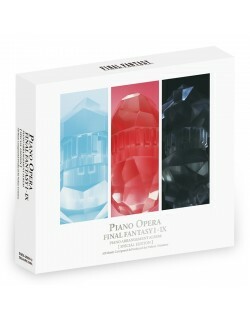 SPECIAL EDITION reuniting the full 3 volumes of the PIANO OPERA series in a luxurious packaging with an english translated 16 pages booklet. Discover the brand new PIANO OPERA - FINAL FANTASY I-IX [SPECIAL EDITION] reuniting the full three volumes of the PIANO OPERA series in a luxurious 3 CD packaging with an English translated 16 pages booklet. Special message from composer Nobuo Uematsu included, and for each song discover pianist Hiroyuki Nakayama's comment about his arrangement and performer work ! Shipping from 2 july 2015.